It was pretty funny really, but I had to dial back the machismo and be more tender. I had to reassure him that I could meet not just his wants, but his needs too. Then in the last two weeks, Smiling Son has discovered wrestling. He wrestles with me, he wrestles with his sister, he tries to wrestle with his (“I am not a playground; your Daddy is a playground!“) Mommy, and sometimes he lays on the cats hopping they’ll wrestle with him. He comes up to me and says something along the lines of: “ree? ree? Ree! ?” Which of course sounds a lot like his words for raisins, water, new diaper, potty, kitty, and a few I haven’t figured out yet. “Yeah!” He says, with the one of the words he has perfect diction. “Yea-Ah!” He laughs in anticipation and I go over and lie on the floor. He loves to stand on my chest and jump off, tickle my stomach, and have me hold him tight and roll around. I can pick either kid up by the back of their thighs and pretend they are on a precarious balancing ride that may drop them off at anytime. 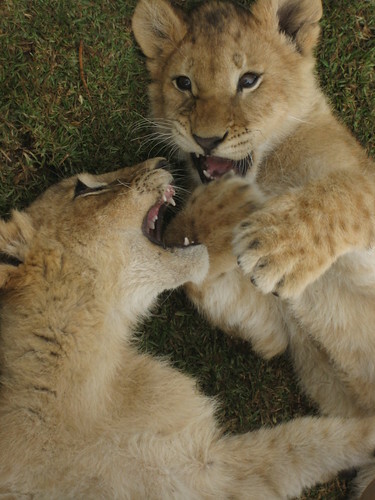 We laugh, we tickle, we roll around, I chase them on hands and knees, and they chase me. We have an absolutely great time! Sometimes while playing with my Darling Daughter, she will exclaim, “This is the best day in the whole world!” It is awesome. 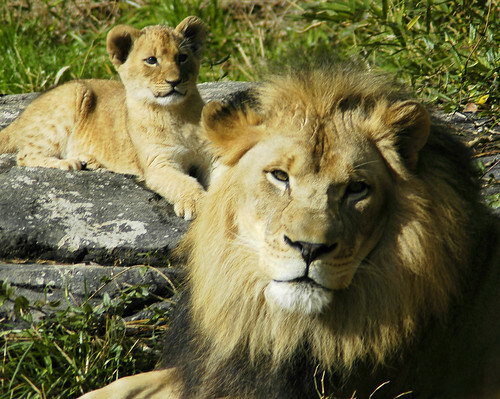 Tonight while reading kids books, I came across a photo of a lion and her cub. 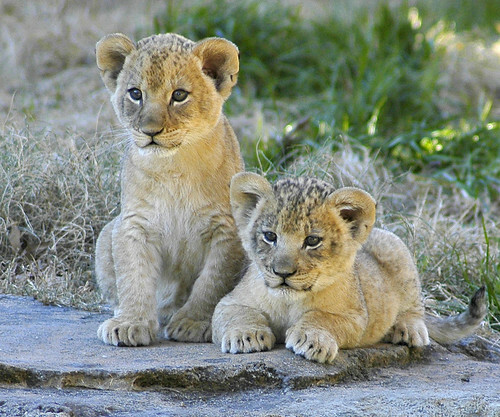 In my head, I imagined that cub running, playing, biting, and tugging on its Daddy’s tail. That’s what my son is doing – that’s what my daughter is doing. Lately too, my son, who sleeps in our bed with us, has taken to cuddling with me all night long. I love this job! PS: The coolest thing ever though, is to watch my kids wrestling with each other – their laughter and giggles are so authentic and so absolutely delightful. My middle DD is wanting to wrestle w/Dad. Not tickle but really wrestle. No idea where that came from but she loves it. Kids need the contact! And with the mistrust of strangers, the learned propriety (no touch) of even close friends, and the absence of grandparents – kids will find a way to get that very real touch that they need. Two psychologists that I know, say that the lack of touch is physical abuse – I believe it. The sad thing is, there will come a day when I won’t be able to wrestle with my daughter anymore. I’m already grieving that necessary step. Gary, you are getting to experience joys that only a parent can know. As I looked out into the forest and sang made up lullaby songs of love – I thought of my Father, and His love for me. Not only do I not want my son to be unhappy, but my Father doesn’t want me to be unhappy either. The joy you speak of Terre – that is the joy my son feels from me – and the joy I experience from my Father. It is time spent…our youngest two are much closer to their father than the first three were at this age. He was young and driven and working a lot when the older ones were little. They all loved their dad but these two adore him, they crave his attention and are completely swept away by the awesomeness of their father.